简介：Following the final episode of series two, the BBC subsequently announced that the series had been commissioned for a third run. Michelle Keegan, Luke Pasqualino and Ben Aldridge were later confirmed to be returning to the cast, with newcomer Shalom Brune-Franklin and Rudi Dharmalingam being amongst the new cast members for this series. Unlike previous series, a total of twelve episodes were commissioned; to be shown in three blocks of four episodes, each covering a different "mission". Filming for this series took place in Nepal, South Africa and Malaysia. 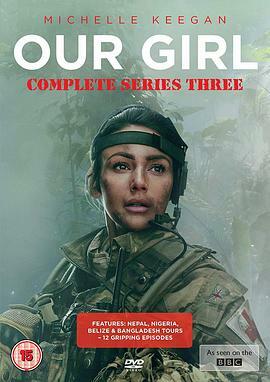 The first episode of Our Girl: Nepal is due to be broadcast on October 10, 2017.